We’re delighted that the vegetarian cookery book we proudly helped produce for our client Eighth Day has now been published. Eighth Day vegetarian café and shop is a co-operatively-owned business that has traded in Manchester for over 40 years and has become a stalwart of vegetarian food. The new recipe book features a collection of customer favourites, including starters, soups, hearty main courses and desserts. The recipes are easy to follow and the book also includes fresh salads and vegan cakes. Increasing numbers of people are choosing a vegetarian diet and the new cookbook enables people to enjoy a delicious range of healthy, nutritious vegetarian dishes at home. 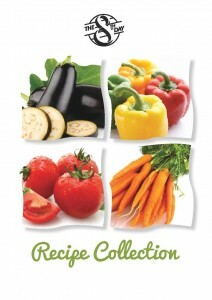 The Recipe Collection (ISBN 978-0-9536549-1-8) costs £5 and is available from Eighth Day in Manchester. This entry was posted in Eighth Day, News, Publications and tagged Cookbook, Eighth Day, Manchester, Recipe Collection on November 27, 2014 by Shaun.